Our fist 10 days in the Bahamas was just incredible - the sea was so calm and clear with a maximum of 15 knots of wind it was just paradise and we took full advantage to explore the northern and central Abacos - the pictures tell the story of our time from Double Breasted Cay to Treasure Cay. Conch harvest at Double Breasted Cay - I got 6 huge ones but opening them was a disaster so I set them free! Some 'sailors' like to make a bit of a mess on some of these Cays - not sure I agree with this. 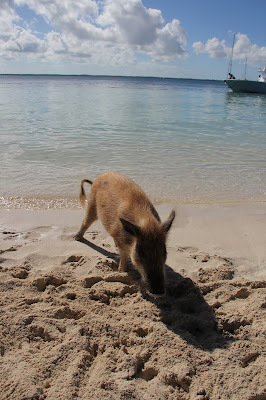 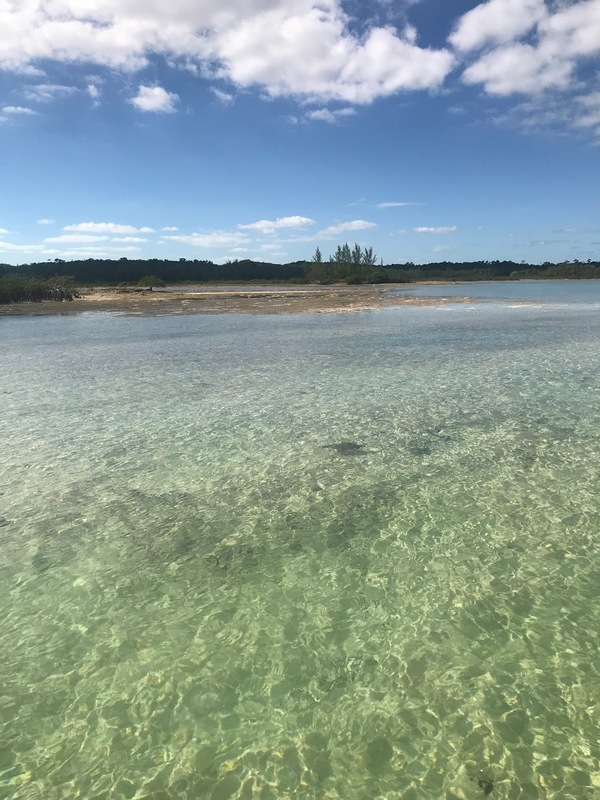 We didn't stop long at No-Name Cay and found the beach too crowded - we hope to see more natural wild pigs in the Exuma's. 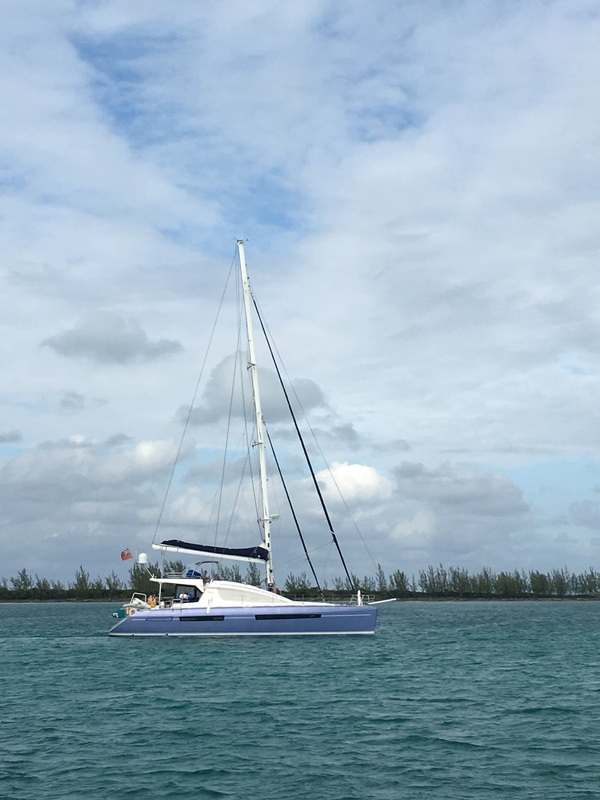 So we sailed on and went back out into the Atlantic Ocean for about two whole miles - the Whale Passage into the Central Abaco region. 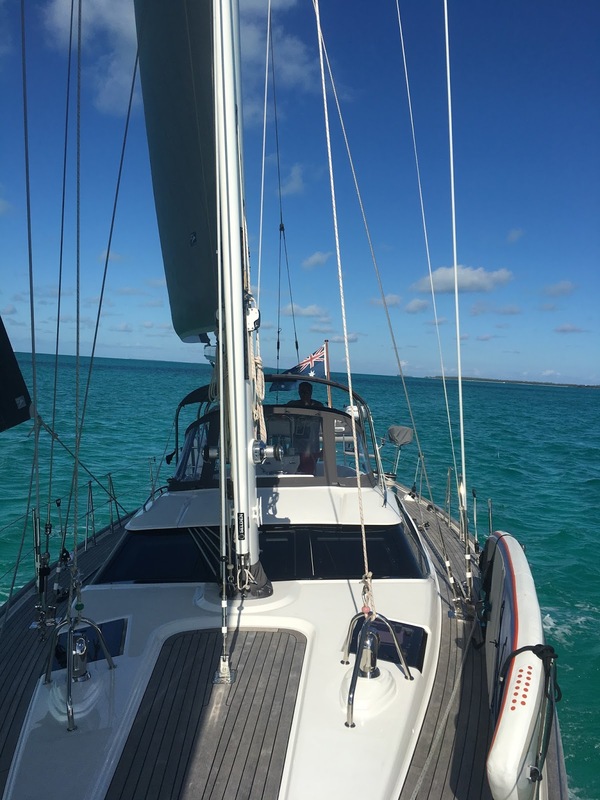 We made for Great Guana Cay and found a lovely anchorage in Fisher's Bay - really close to shore. 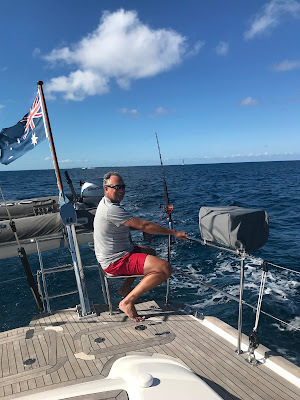 Fishing through 'Whale Passage' - one fish on but lost it!! 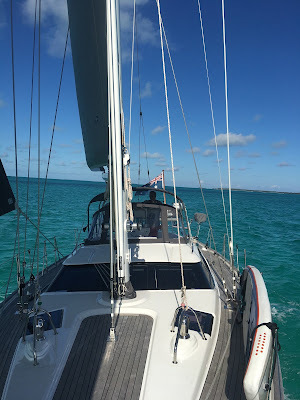 The next morning the wind had swung around and being on a lee shore we upped anchor before breakfast and went out to Fish Cays for some protection. 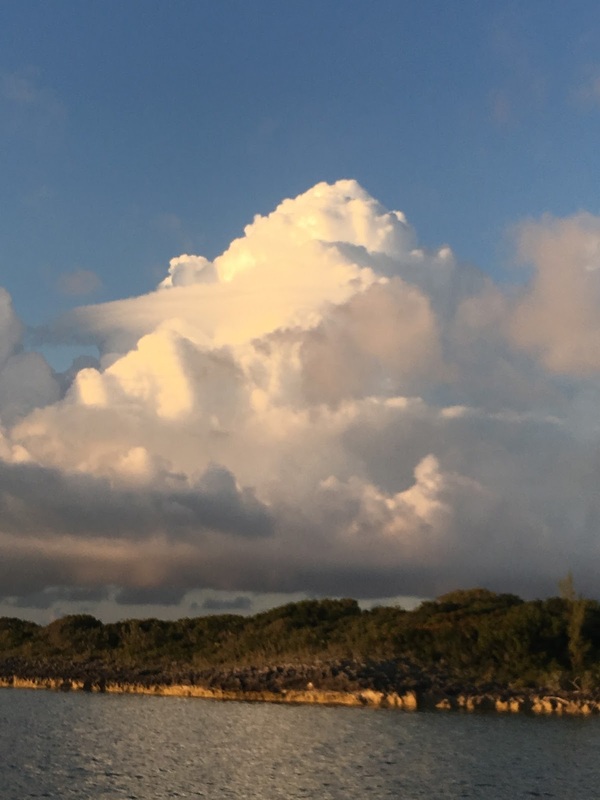 The New Year brought about a real change in the weather and a really strong weather system that came off the US East Coast - referred to by many sources as a 'Bomb Cylone', this also brought really strong winds and cold weather down in the Bahamas. 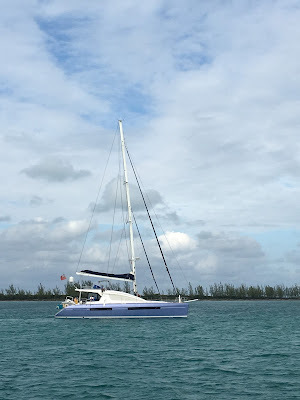 We went into the marina at Treasure Cay and hunkered down. 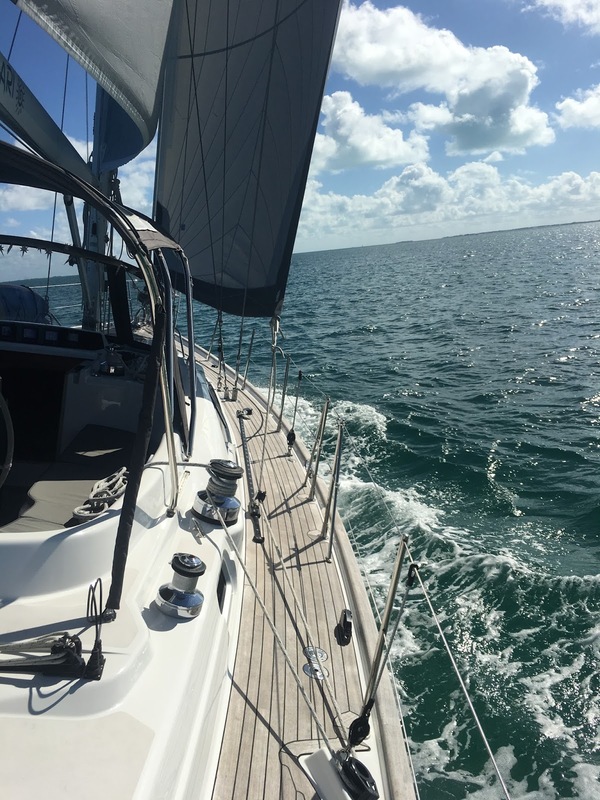 We saw over 30 knots in the marina for two days and this was really protected, however there was reports of 50knots locally. 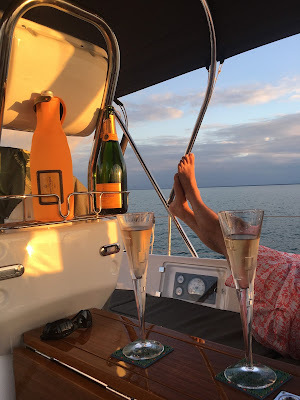 This was coupled with really low tides so we didn't want to take any chances with swell, as it happened at the height of the wind we were aground in the marina - luckily only sludgey mud/sand.